Offering a full spectrum of services ranging from ongoing accounting and bookkeeping services, to complex Franchise accounting processes— VBS will partner with your internal team, CFO or CPA to get you the results you need to stay financially organized and secure. With a team comprised of highly qualified and experienced QuickBooks® ProAdvisors, we offer solutions beyond the average accounting firm. Would you like to see how VBS could serve your needs? Did you know that every VBS team member is a QuickBooks® Certified ProAdvisor? Aside from paper credentials, we have the years of experience that make us a great candidate for your bookkeeping needs. You have a team in place for your accounting needs, but they are too busy with other tasks to tackle the issues that take focused attention. Queue Vector Business Solutions QuickBooks® project services. We work with your team, CPA, CFO, CEO and any other key stake holder to make sure your needs are met, while staying in unison with the big picture of your company. We are often asked about what QuickBooks® can and can’t do. Here’s our list of the 9 most frequently asked questions regarding QuickBooks® capabilities and limitations. VBS strives to put you as the client first. From large scale franchises, to small-mid size businesses— we seek to serve with excellence. See the proof now. Can you tell us more about your business? Typically, our clients fall into one of two financial structures- each with their own particular needs. Which best describes your business? Based out of Southern California, Vector Business Solutions provides QuickBooks® and Financial consulting services for small to midsize companies across the United States— combining the agility of a remote workflow, and the one-on-one customer experience provided by a local office. 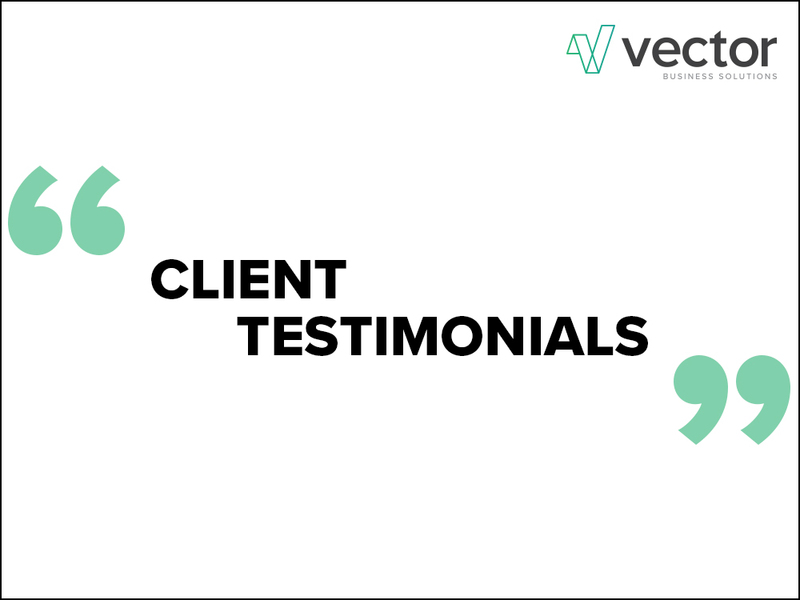 Vector Business Solutions helps our clients gain the most out of their QuickBooks® software. We help our clients implement the features of QuickBooks® to support their full business processes, from Operations to Finance, including Inventory Management, Order Processing and Job Costing. We work with many of our clients to implement appropriate Financial processes and controls, and provide ongoing review and/or Controller Services. We provide bookkeeping services and remote ad-hoc to our clients, as well. VBS will work with our client’s CPAs, and we have the skills and experience to ensure that the business leaders and their financial/tax professionals needs are met. Vector Business Solutions has a proven and successful track record with Franchises of all shapes and sizes. The VBS team is comprised of individuals who not only have the necessary credentials and certifications— but each member has the real world experience needed to help build effective and sustainable financial practices for your entire enterprise. VBS has proudly served Franchises across multiple industries, and each with its own advanced needs. We partner with your CFO, CEO or CPA to bring together the most cohesive and individualized plan possible for the Franchisor and the Franchisees. Every client we take on has different needs, and we have the resources in place to meet these needs. Whether you need training/coaching services for your in-house team, advanced system integrations or a complete rebuild of your accounting, VBS is more than capable of providing proven solutions for your Franchise.